It’s the middle of summer and the perfect time for camping, hiking, swimming, and general outdoor fun. 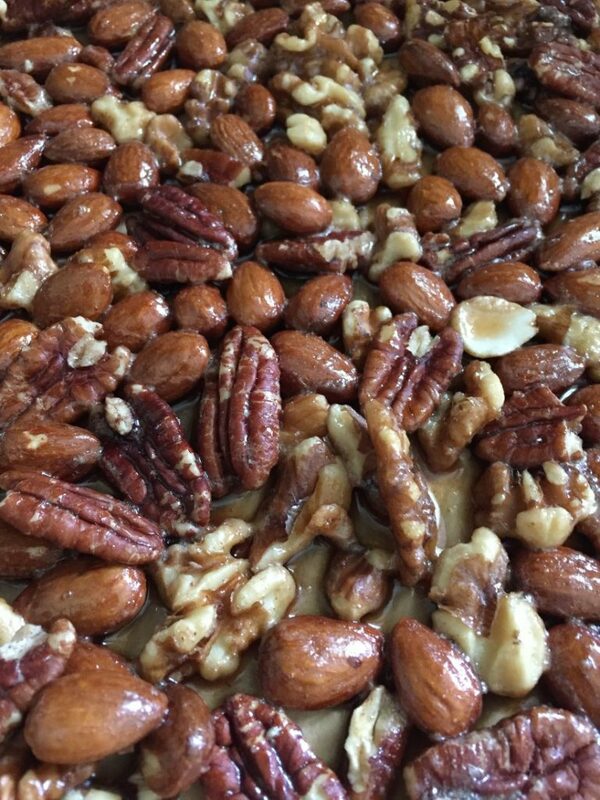 It was in that spirit that employee Alex was inspired to try this week’s recipe; Maple Nut Trail Mix from Fresh Off The Grid! Read on to see how it went. If you tried this one at home, let us know how it went in the comments below and what you would change next time. Enjoy! Hello, hello! Alex here again with another edition of Recipe of the Week. 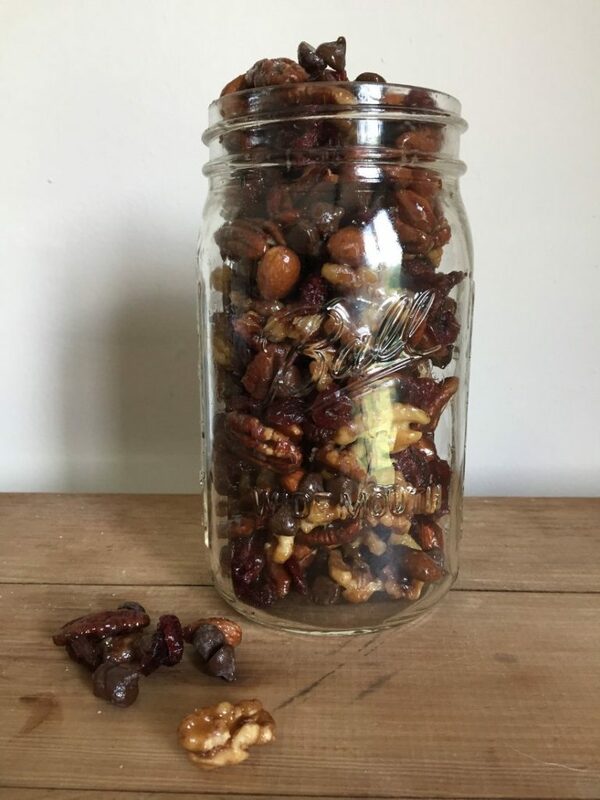 This week I decided to try my hand at a trail mix. 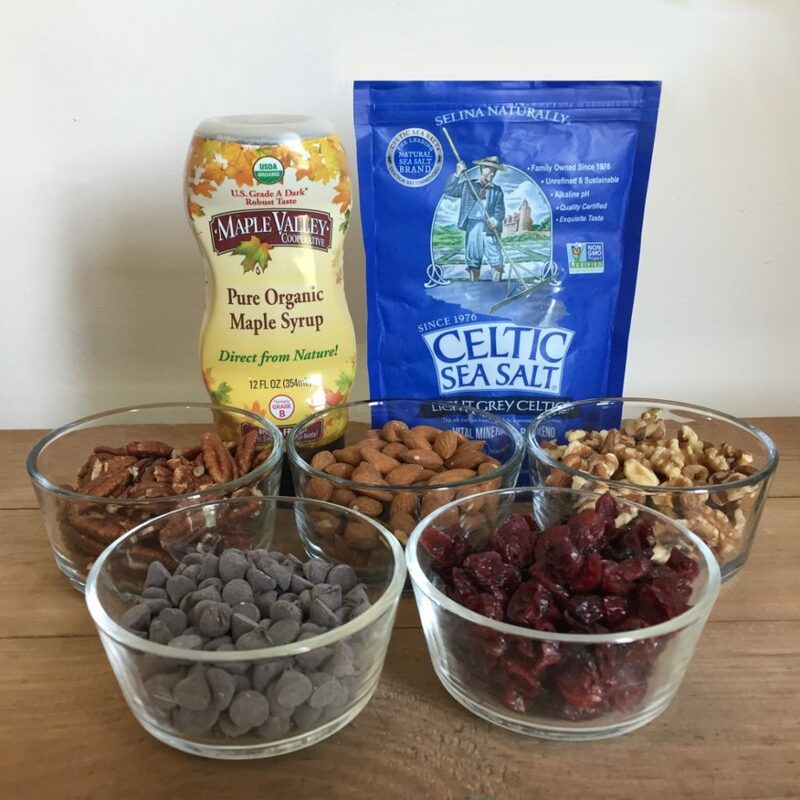 I don’t typically make my own trail mix, but I figured now was the perfect time. Here in Wisconsin, everyone takes advantage of the warm weather as much as possible. When it is cold nine months a year, you just can’t afford to miss out on a beautiful summer day. 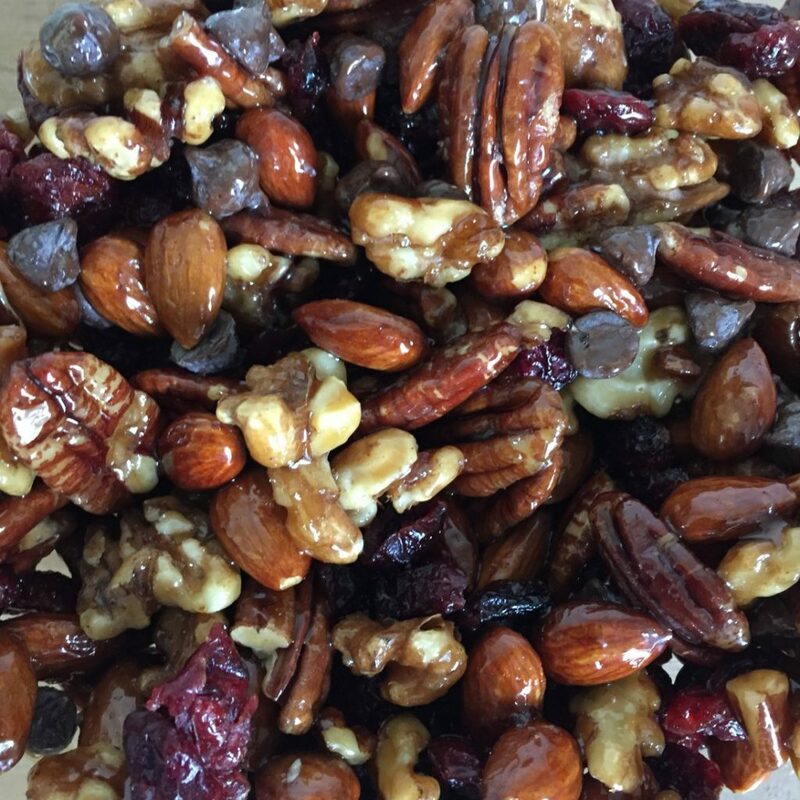 Since summer activities require portable fuel, trail mix seemed like a perfect idea. 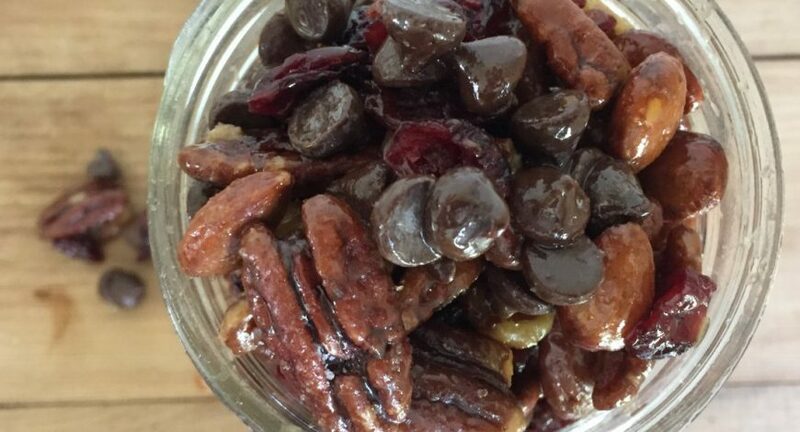 The recipe I found from Fresh Off The Grid was part of a trio of delicious looking trail mixes from the video below. I really like all of the ingredients in the second one so it seemed like a good one to try. The ingredients were pretty simple and mostly in 1/2 cup quantities. I had to go buy the nuts since I didn’t have them on hand. I found it is harder to get some kinds of nuts if you are looking for organic, so it took a little more effort than expected to find everything. Since I am going with a camping theme for this recipe of the week, I decided to use our squeeze bottle. This thing is great for outdoor activities! Unlike glass bottles, it is unbreakable. It also is easy to carry, and doesn’t make a mess when you use it. The no drip squeeze spout makes it ideal for kids as well. Basically, it is perfect for summer. The recipe itself is pretty simple. 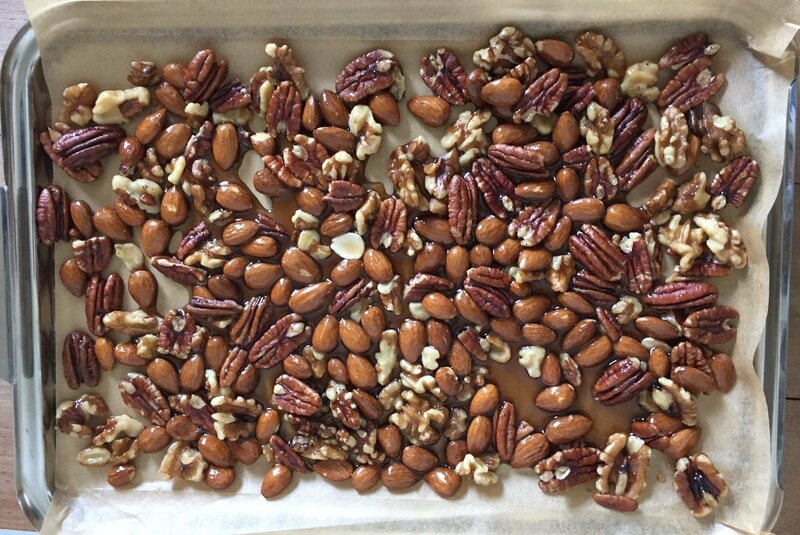 The first step being to put all of the nuts in a bowl, add maple syrup, and stir. These are then added to a parchment lined pan. I followed the quantities listed in the recipe, but it seemed like the ratio of maple syrup was a little heavy and the syrup was running all over the pan (including underneath the parchment paper – yikes!). I let them cool, then scraped them in to a bowl. I think I was too impatient and didn’t let them cool COMPLETELY. I think this is an important detail. Everything was still very sticky and messy and I think if I would have let it all cool longer, it would have been less so. I also forgot to add salt before baking as instructed. I’m not sure if it would have made a difference. The final step was to add the cranberries & chocolate chips and stir it all together. Everything was very sticky and quickly covered in syrup. I also added the salt at this point since I forgot to do it earlier. I put the whole sticky mess in to a jar for storage. Overall, I think this one went pretty well.